This Martin has enough charisma and muscle to be the captain of the football team but it has the voice of captain of the debate club. The bass response is meaty but tight, and the whole guitar sounds big without any particular frequency range jumping out at you (although if you listen closely, you can hear a slight bump in the low-mids and trebles). The end result is a very measured, balanced dreadnought that sounds smart enough to argue foreign policy with you and big enough to bench press a truck! 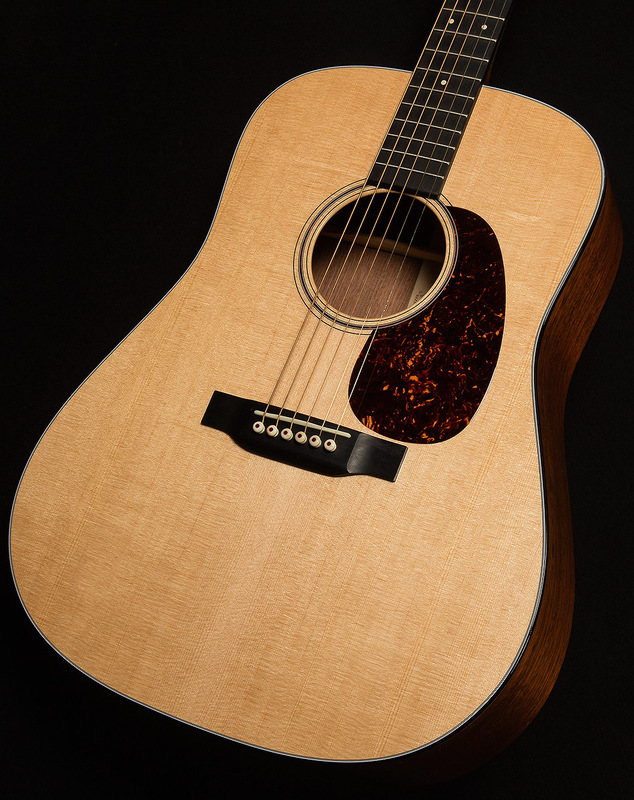 Premium features like forward-shifted braces, ebony fingerboard and bridge, and bone nut and saddle add sonic complexity to this value-priced Made in Nazareth, Pennsylvania Dreadnought. 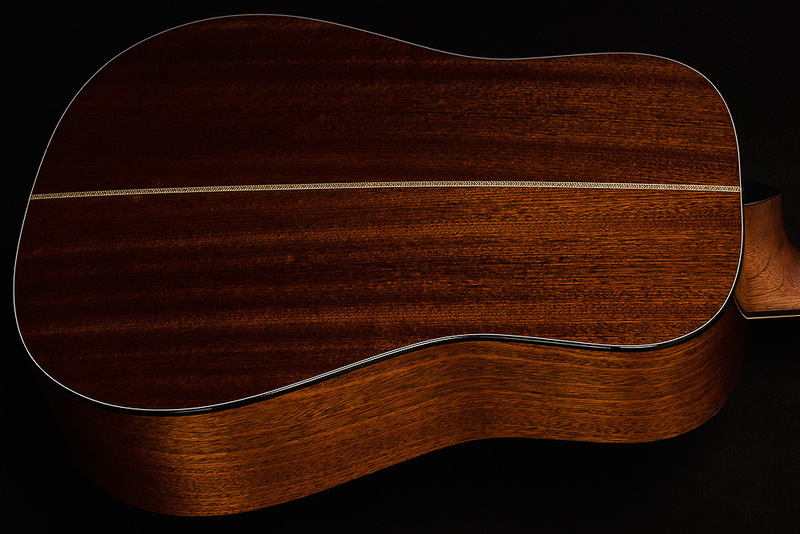 The gloss finish, the solid-wood sapele/sitka DSTG has a tortoise colored headplate, binding and heel cap. 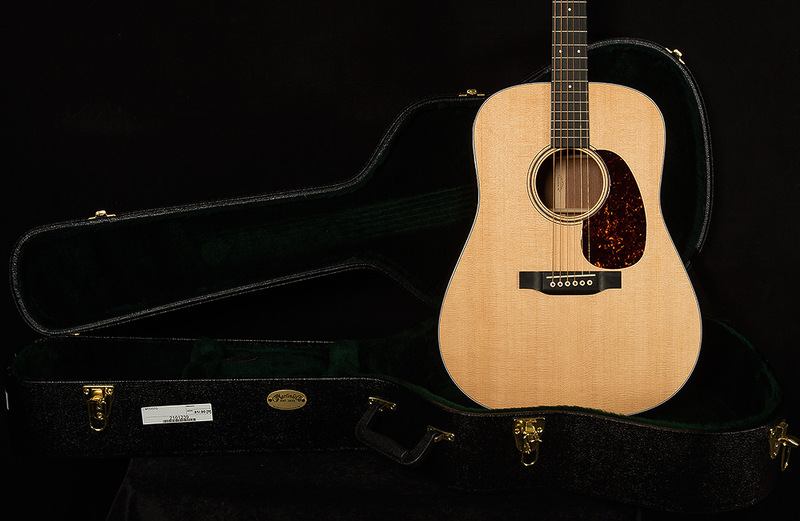 Each classic Dreadnought is equipped with Martin Studio Performance (SP) strings for ultimate resonance and tone, and arrive in a hardshell case.